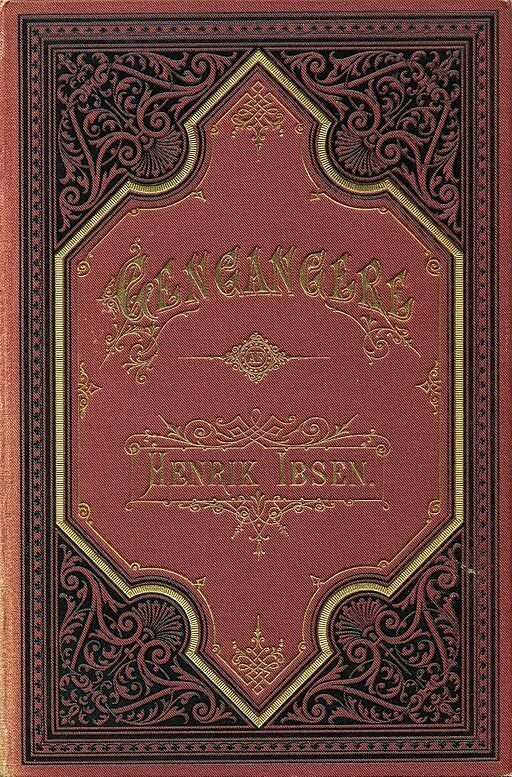 Ghosts (1881), translated from the German "Gengangere," is a family-drama in three acts, set at a country house near a large fjord in Norway. It premiered in Chicago, Illinois in 1882 by a Danish theater company on tour. Translated by William Archer. 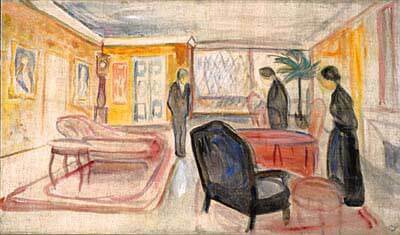 [Painting by Edvard Munch, stage design for Ghosts, 1906. ].